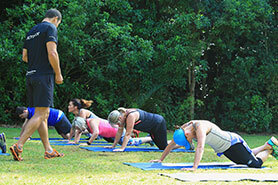 In 2008 Activ8 started with Whangarei’s first ever bootcamp of 12 people. The supportive and motivating packages saw Activ8 grow to have a personal training studio, 15 different bootcamps throughout the week, eight other enthusiastic and qualified fitness professionals and a variety of holistic, well-being packages to suit all needs. 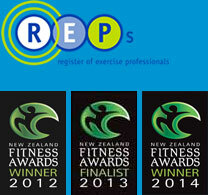 Activ8 won NZ Small Group Trainer in 2011, 2012, 2013 and NZ Studio of the Year in 2012 and 2013. Owners Matt, Miranda and Shayne are passionate about health, well-being and living life to the full which inspired them to create their own unique brand of health and fitness. Exercise of course plays a major role within Activ8, but the team take a holistic approach to health and fitness and really care about your goals and health journey by addressing different areas like nutrition, stress, sleep, emotions, lifestyle and time. Activ8’s sessions are delivered with positive energy, personal attention and a commitment to succeeding with each and every client. The packages also include studio use, food diaries, phone and text message motivation, Activ8 family fun days, fitness and body composition testing, support and motivation. Not only will you achieve your desired results with Activ8 but you will come out with increased confidence, like-minded friends, improved well-being and health plus tools to keep a healthy and well-balanced life for years to come. 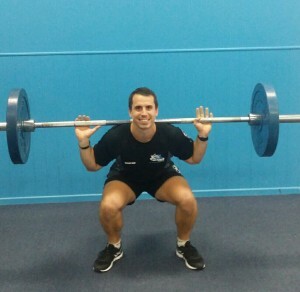 Curtis joined the team at Activ8 Northland in 2012 after his path had taken him from Head Boy at Kamo for his schooling years; to the mighty Waikato where he studied a Bachelor of Sport & Leisure; and then to Activ8 as one of the “nice but nasty” trainers. Sharing his passion for personal training with a keen interest in Rugby and Cricket he feels he is an active person who wants to help others activ8 their own lives through health and fitness. Curtis has a range of clients from kids groups sessions to rehab clients to sports enthusiasts, all whom have gained increased results as well as maintained there exercise habit. Curtis is Activ8s’ only qualified in-house Gravity trainer- a machine which takes your workout to the next level. Helen is a Qualified Personal trainer and specialises in Womens Health and Wellbeing. Whether your goal be weight loss, toning, increased energy, flexibility or fitness Helen will support and motivate you to achieve these goals. Helen is particularly passionate about women’s health and helping women through menopause, pre and post natal and increased metabolism as it slows in ageing. All sessions are tailored to your goals, age and fitness level. Helen has a range of services from one-one, small groups, Active ageing classes and Mums and Bubs sessions. Helen was born and raised in Sweden but decided to go overseas as soon as she left school, she spent ten years in London as a hospitality manager and met her kiwi husband there. In 2007 they moved to New Zealand and are loving the kiwi life style. After having two boys, Helen realised her passion for fitness and healthy living and made a career change to be a Personal Trainer and is now loving it. I believe with the right training, right food and right attitude anyone can achieve any body. To achieve amazing results you have to work hard, but I guarantee that my personalised sessions with you will be fun, dynamic and motivating. 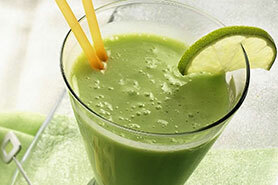 You have nothing to lose- apart from fat! I have been a Personal Fitness Coach for 14 years and have taken great pleasure in helping over 500 clients achieve some amazing results. 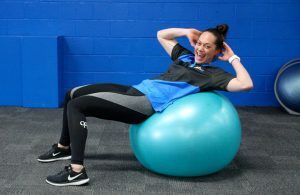 I started in Dunedin working at a Personal Conditioning Studio after completing a Physical Education Degree at Otago University. From there my career has taken me to England where I spent two years as a Self Employed Personal Trainer at Fitness First. 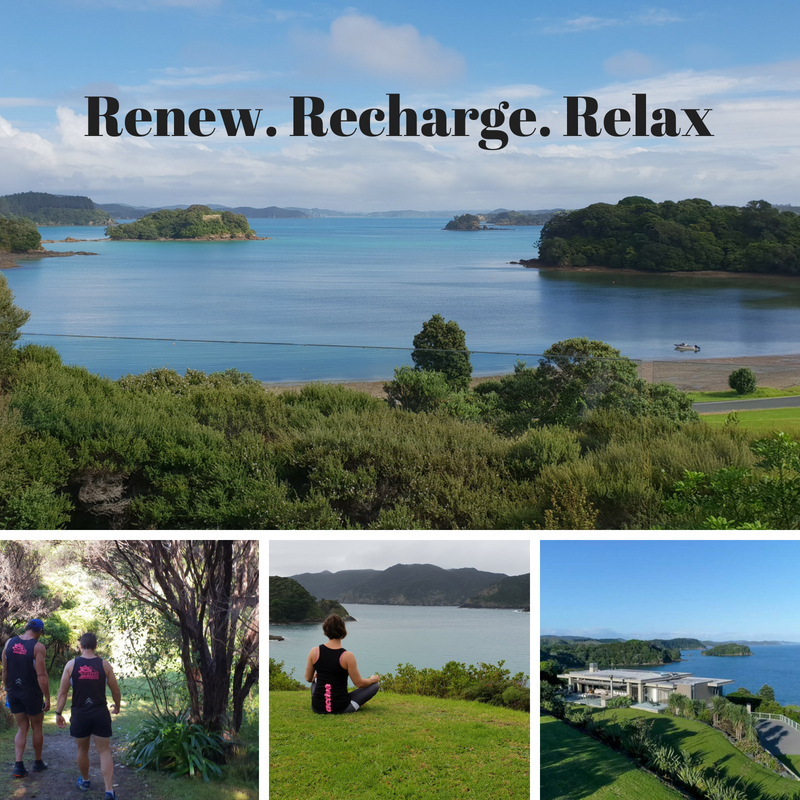 For the last 8 years I have been back in New Zealand working in my home town of Whangarei. I love all sports and enjoy the outdoor lifestyle that Northland offers. I play rugby and squash and enjoy fishing and diving whenever I get the chance. My background and love of sports helps me to train and coach people from all walks of life. We all have different goals and dreams, I know from personal experience no goal or dream is too big or too hard to achieve. I believe in goal setting, working hard and achieving results that improve the quality of peoples’ lives. I do not go to work every day, I go to my passion every day. “I help people change their lives for the better; I help people achieve their dreams”. I truly believe this and it gives me great pleasure to be in the industry I am in. If you want to change something about your body, train for a specific goal or increase the quality of your life get in contact now to discuss how we can get you to where you want to be. My name is Shayne Dunseath. I grew up in the Waikato and have attained a Bachelor in Sport & Leisure from the University of Waikato. I have been in the industry for seven years and loving it. I have always had a keen interest in Personal Training and owning my own business and feel very passionate when it comes to fitness and healthy lifestyles. I am very aware of the importance of exercise and the related issues of diet and fitness in the current means of living these days- by adding a small amount of exercise and a dose of superfoods this can go a long way. I love to have a challenge- that is why I specialize in rehab, challenged youth and adult groups as well as any individual wanting to gain results. I have had clients come to me with just the aim of keeping mobile and active but then have achieved massive strength and weight loss gains at the same time. I also invented the “Immortal” training which is Activ8s latest group training session- the hardest training in NZ and ready for anyone who wants to take their training and body to the next level. I love seeing the smile when results are achieved, so will you be the next client of mine to have a massive smile???? You live in your body 24 hours a day, 7 days a week- invest in it! I believe investing in your body is an investment for life- which will just keep getting richer- the more you put into it the more you will get back- GUARANTEED. I have been changing peoples lives for the past 12 years and love to see others getting the benefits out of exercise, that I find I do.Living life to the full and making the most out of every day means looking after yourself physically and mentally- this is hard to do and not everyone gets the balance right. I am here to help and support you through the physical side of things so other parts of your life can fall into place. Once you are in control of your body, diet and health you can be in a lot more control of your life. I completed my Bachelor of Physical Education at Otago University. 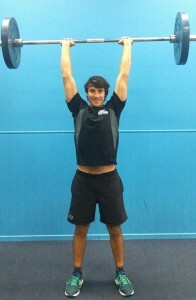 Since then I have Personal Trained at various gyms in Dunedin, London and Whangarei. 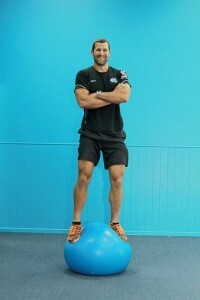 Myself, Matt and Shayne own Activ8 and love every minute of seeing the results our clients achieve. I love most sports and play squash at a high level as well as run for enjoyment. We have got 2 young children who have bought a lot of joy into our lives- as well as a different outlook on life. No matter how busy you are or workload you have you can always make time to appreciate nature, exercise and take a few deep breathes to enjoy the moments we have- as we will never get that moment back. Ryan has a natural passion, drive and energy with all his clients in order to achieve guaranteed results like he does with himself and his own personal training. Ryan holds a Certificate in Sport and Recreation through North Tech. He is constantly investing in his own expertise and knowledge in keeping up with the latest in exercise and health research. 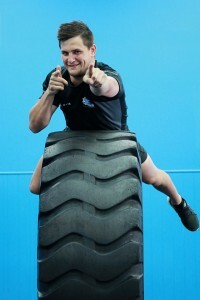 Ryans sessions are dynamic, fun and motivating to push his clients past their perceived limits. This type of training gains results. All his clients stay motivated- not only when with him for a PT sessions but throughout the entire week- and then onto a lifestyle. He changes lives. Ryans passions are squash, cricket running and keeping himself in optimal form. Ryan is waiting to support, motivate and change your life today- what are you waiting for! Karen is our go-to admin gal. 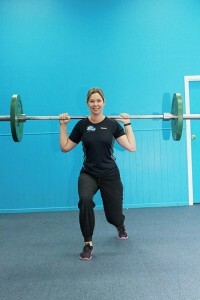 She keeps us all on our toes with the admin side of the Personal training and bootcamps. Karen has come from a Childcare background, but has huge passion for the Health and Fitness sector. Hence she has made the move to Activ8 plus is studying to be a Personal Trainer. Nicola is the latest edition to the Activ8 team. She is a busy Mum to two children and is passionate about family life, running and keeping fit. She is currently completing her Personal Trainer Certificate and is right up to date with the latest in exercise technology and research as well as health news. Nicola specialises in womens health- she has been through two pregnancies so understands the dynamics of the post-pregnancy body. She likes to keep herself fit and healthy and have as much energy as she can- this is hard to keep up with family life but she has some top tips to ensure you too can make exercise and health a priority in your life. Ama is better known as energiser bunny. If you are training within the same room as Ams- you will feel her energy, you will hear her voice and you will feel motivated to do what you never thought was possible. Ams is fully qualified with a Level 3 in Personal Training and a Health and Fitness Instructor Certificate. After working in hospitality for years, Health and Fitness then changed her life in the most positive way possible- she now lives and breathes training and wants to share that with others. Ama looks forward to being on her clients own journey to a happy and healthier lifestyle- whatever stage you are in life- now is a great time to start. 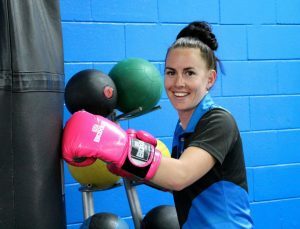 Ama is passionate about health and fitness as well as living a balanced lifestyle- pushing herself further then she thought possible, setting goals and smashing them, and learning every day how to live life to the full. Ama has an amazing way at bootcamp to be able to push you within your limits yet make you work hard and feel like you have reached your potential- getting you results and having fun at the same time. Ams enjoys working with groups- and tailoring each session to your individual goals and levels. She enjoys running and has competed in several marathons- which gives her a passion for cardio training and training endurance athletes. 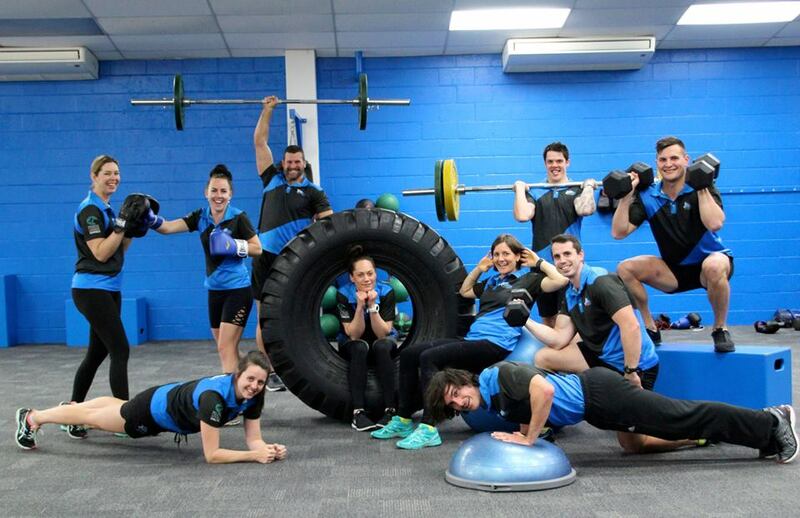 Our Activ8 team strive to be New Zealands leading Health and Fitness provider – giving you a personal and individual experience in order for you to achieve amazing results. We personally guarantee our health and fitness training. 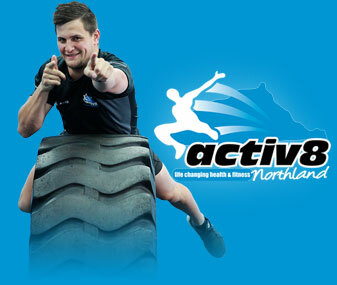 Contact Activ8 Northland now to get started in your life changing exercise experience!